How well do you know your buyer personas? Do you thoroughly understand their needs and pain points—and why they decide to purchase from you instead of your competitors? This information is the cornerstone of a successful inbound marketing strategy. With it, you can fine-tune your messaging so that it truly speaks to your audience and their needs. Without it, you run the risk of sending a generic or off-target message that doesn’t resonate with your audience. Which would you rather have? That’s where buyer persona interviews come into play. Properly conducted persona interviews will shed new light on your customers and prospects, revealing several aspects of their decision-making process that you may have overlooked. Each interview is a new opportunity to dig deeper into the psyche of your buyer personas so that you can better reach them with your marketing message and better serve them with your products or services. Create and document a formal interview process for your team to follow. Not only will this help you and your team be more efficient and successful during the interview, but it will also help capture consistent information that will be used to compare notes. As you go into each interview, be prepared to lead the conversation. Having a plan or even a script laid out beforehand will be helpful if the conversation starts to derail. That said, have a plan or a script, but be flexible and enjoy the conversation—the more comfortable your buyer persona is, the more candid he or she will be in response. First, identify the persona types you would like to interview. These could be new customers, extremely successful customers, and even outside referrals. Ideally, you want to capture and understand actual persona behavior for your ideal customers throughout their different life cycle stages, buying situations, and target markets. Make a list of potential interview candidates, and segment by life cycle stage or buying situation so that you can ensure each segment is covered. Remember: No matter what segment they are in, the important information you are after is their actual behavior and decision-making process that led them to where they are. Prepare a list of open-ended questions that reveal the thought process and behavior of the interviewees. Identify their initial pain points or frustrations, followed by the steps they took to find a solution. Ask about the questions and concerns they had throughout the process and the resources they used to find a solution. What questions should you ask? 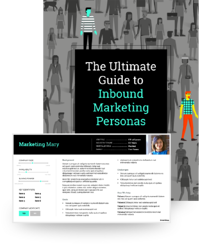 Browse example questions in The Ultimate Guide to Inbound Marketing Personas. As you prepare your interview questions, pay special attention to the way the questions are phrased so that you don’t intentionally lead the interviewee to outcomes you already expect to hear. A common mistake by marketers when conducting buyer persona interviews is to make assumptions based on what they already know (or think they know) about the persona. Instead of asking leading questions that reinforce what you want to hear, ask questions that get them telling their story and simply listen to their words. When scheduling and conducting buyer persona interviews, be respectful of the interviewees’ time. Make sure they understand the information collected is for market research, all responses will be kept confidential, and they will be not be followed up with any sales calls based on the information they give. Consider preparing an agenda and sending to the interviewee ahead of time so they understand the process and know what to expect. An agenda can also help you move the conversation forward and keep the conversation on track if it starts to derail. Just as you prepare questions that you want to ask, take some time to identify questions and topics that you should avoid. Consider areas that are too personal and perhaps insensitive or offensive to ask about. If sensitive areas are appropriate for the conversation, consider careful ways to phrase each question and be prepared to change the direction of the conversation if you sense that the interviewee is offended or uncomfortable. For deeper conversations, and ultimately the best results, schedule your interviews ahead of time instead of trying to get all the information you want in one cold call. Scheduling ahead of time gives both you and your interviewee time to mentally prepare for the conversation. If scheduling multiple interviews back-to-back, give yourself time to prepare and decompress after each conversation so that you don’t forget what was said. When conducting buyer persona interviews, there is a lot of information to capture in a short amount of time. You don’t want to miss anything that could be used to develop your personas with spot-on accuracy. Have a notepad, tablet, or Word document open and ready for you to jot things down. Consider recording the interview if possible. Be sure to ask permission first. With a little preparation and careful attention to the details, buyer persona interviews will help you identify your audience and collect the insight you need to create valuable content your customers will love. What’s the next step? 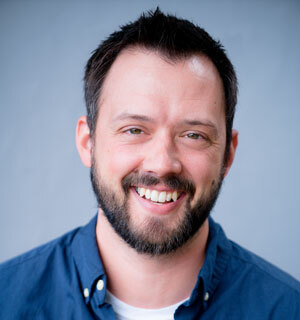 Determining how to use buyer personas in your sales and marketing strategies. 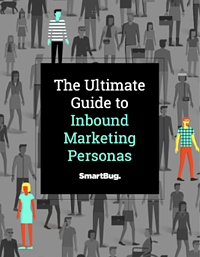 Learn more in The Ultimate Guide to Inbound Marketing Personas guide.